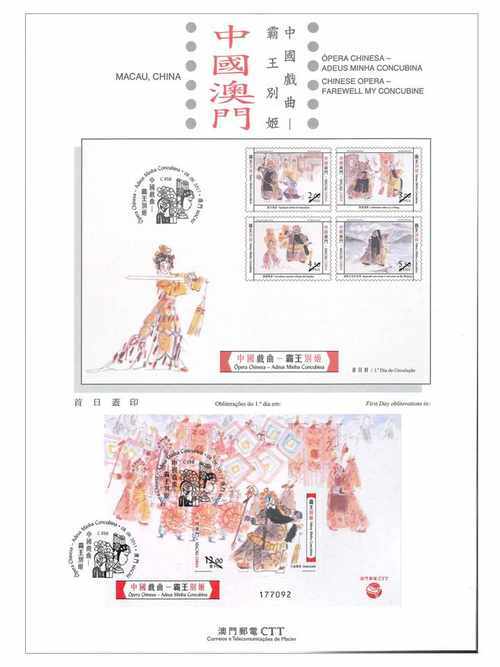 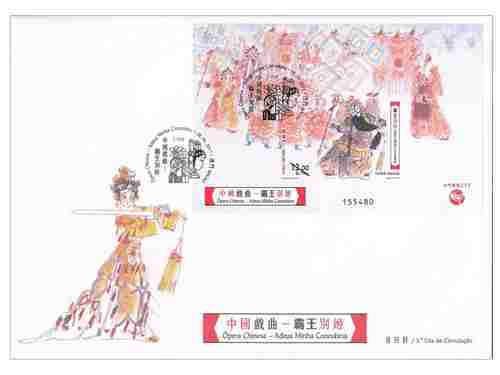 Stamp Issue "Chinese Opera – Farewell My Concubine"
Macao Post and Telecommunications Bureau will issue the stamp theme “Chinese Opera – Farewell My Concubine” on 8th June, 2017. 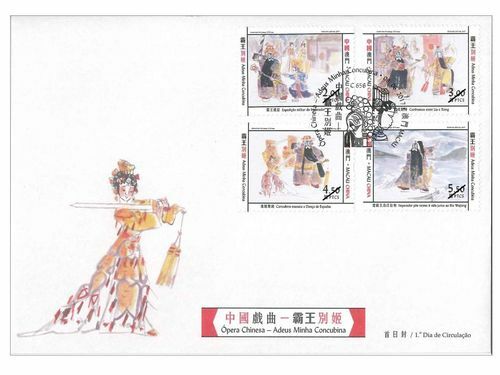 The Beijing Opera “Farewell My Concubine”, originally named “Chu-Han Contention”. 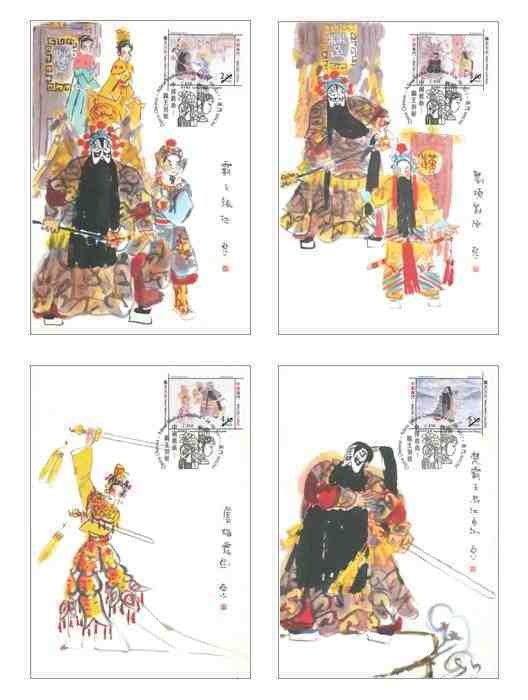 The story is based on “Shiji - Annals of Xiang Yu”, “Romance of the Western Han Dynasty” and Kunqu opera “Qian Jin Ji”. 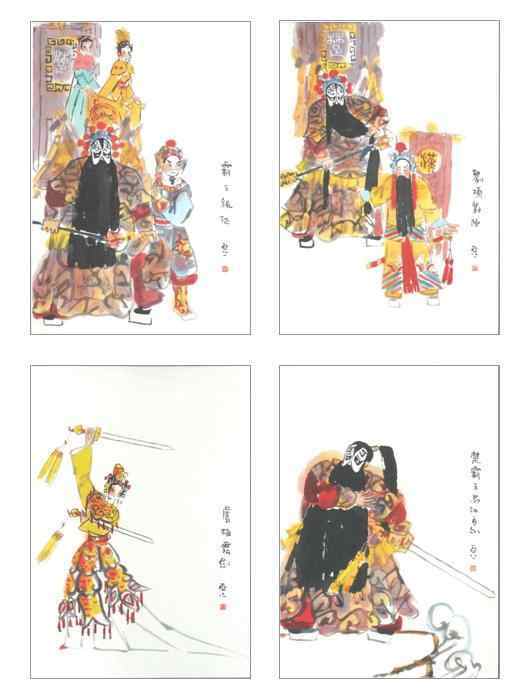 In 1918, it was first performed by Yang Xiaolou and Shang Xiaoyun in Beijing; in 1922, Yang Xiaolou performed with Mei Lanfang. 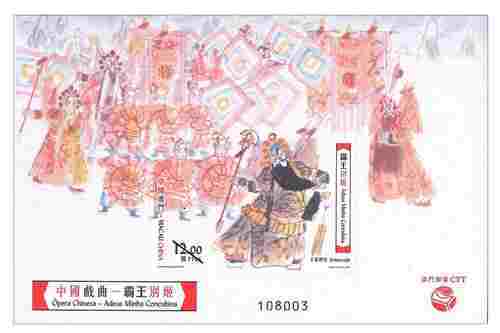 Afterwards, Qi Rushan and Wu Zhenxiu modified “Chu-Han Contention” and renamed it as “Farewell My Concubine”, which became the most common classical play of the Mei School among the Beijing Opera circle. 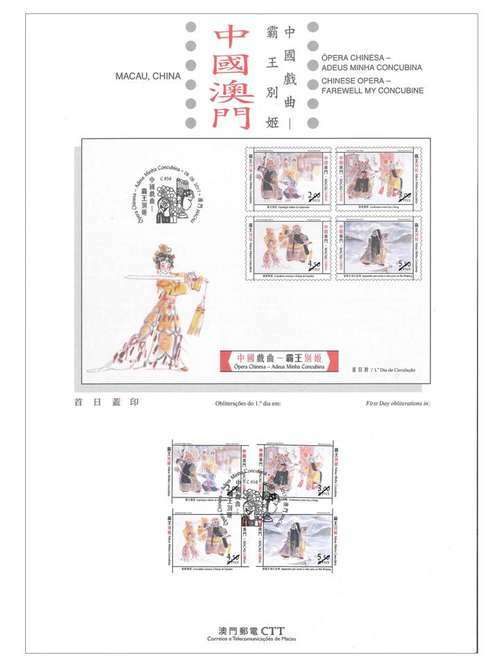 This issue includes a set of four stamps and one souvenir sheet, which is designed by a famous painter in Macao, Chan Wai Fai, the technique of drawing is vivid and lifelike, portrayed the battle between Xiang Yu and Liu Bang, the Hegemonial King of Western Chu and the King of Han, and also the poignant demonstration of loyalty of the concubine Yu, which ended in tragedy. 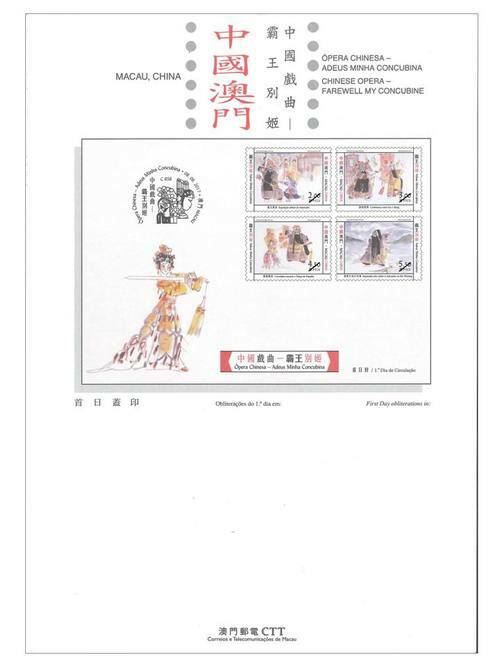 The main plots from the opera presented in this issue include the “Emperor’s military Expedition”, “Clashes between Liu and Xiang”, “Concubine performs the Sword Dance”, “Emperor ends life at Wujiang River”, and “Ambush on all sides”. 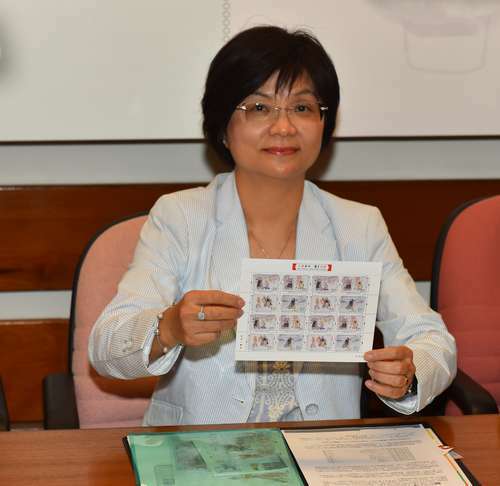 The composition of this issue is designed by Macao Post and Telecommunications Bureau, and the text of the information brochure is written by Ms. Zhou Qiao. 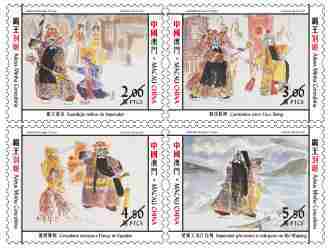 This is the fourth theme in 2017. 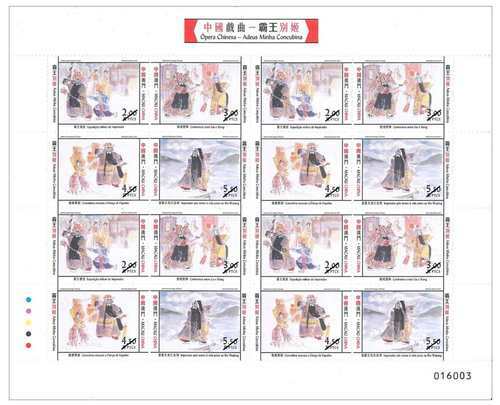 The previous issued stamps are “Lunar Year of the Rooster” on 05/01/2017, “Macao: Back to Common Roots” on 10/02/2017, “Traditional Chinese Culture” on 01/03/2017, and the label stamp “Lunar Year of the Rooster” on 17/05/2017.